The following overview provides the indicative title in English, date of adoption and the Enhesa reference number. Interested in additional information on any of these developments and what they require? Contact Enhesa at info@enhesa.com or www.enhesa.com. From July-August 2017, approximately 75 new regulations of interest to industry were adopted or published in Europe. Noted below are many of these significant regulatory developments. As of 4 July 2020, the manufacture, marketing and use of perfluorooctanoic acid (PFOA) (CAS 1163-19-5), its salts and PFOA-related substances is restricted, according to Regulation EU/2017/1000 amending Annex XVII to the REACH Regulation. Specific articles, such as equipment used to manufacture semi-conductors, latex printing inks, plasma nano-coatings and non-implantable medical devices are only subject to the restriction as of, respectively, 4 July 2022, 4 July 2023 and 4 July 2032. The restriction applies to the manufacture and marketing of PFOA as a substance on its own as well as a constituent of another substance or mixture, and to articles or their parts containing PFOA and/or its salts in a concentration greater than 25 parts per billion (ppb). Exemptions apply to, among others, implantable medical devices and photographic coatings. From 1 July 2017, employers, their representatives, as well as persons intending to carry out occupational health and safety (OHS) services or become OHS specialists have to undergo an OHS test at the State Labour Inspectorate. 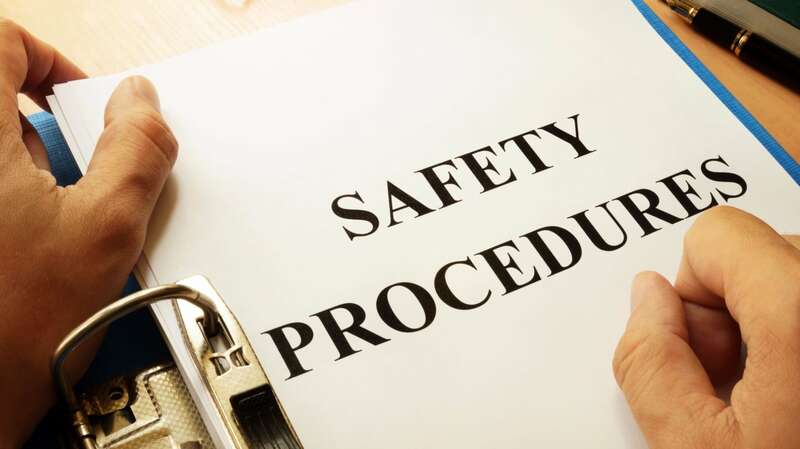 Moreover, employees operating or maintaining potentially hazardous equipment (for example, pressure vessels, hazardous substances containers or lifting equipment) are allowed to prepare for the OHS examination by means other than professional educational institutions. This follows on from Order No. A1-276 of the Minister of Social Security and Labour on the approval of the General Provisions on Occupational Health and Safety Training and Testing. From 1 July 2017, companies whose average number of employees is 20 or more have to establish a work council, unless they have a trade union and at least 1/3 of the company’s employees are members thereof. This follows on from Law No. XIII-414, amending Chapters 2 and 6 of Law No. XII-2603 on the approval, entering into force, and implementation of the Lithuanian Labour Code. As of 23 December 2017, companies that manufacture, use, import and/or place on the market substances, mixtures and/or articles will be required to comply with the provisions of the Regulation on the Registration, Evaluation, Authorisation and Restriction of Chemicals (Turkish REACH) gradually. The pre-registration deadline will be due in 2020. The Turkish REACH establishes provisions on registration, evaluation, authorisation and restrictions on substances similar to the European Union REACH Regulation. More substances will be subject to the stricter provisions in comparison to now. For example, 4-nitrobiphenyl (CAS No.92-93-3) will not be allowed to be used in concentrations equal to or greater than 0,1% by weight in substances and preparations placed on the market. Similarly, suppliers will be required to provide safety data sheet (SDSs) for substances added to a new list of substances of very high concern. The Regulation will consolidate several regulations on chemicals and replace them.